Something needs to be done to save players from concussions. This past seasons’ most serious victim is one of the baddest NHLers on the planet–both on and off the ice–Flyers’ captain D Chris Pronger. According to The Hockey News, Pronger’s concussion has him “stumbling around, regularly forgetting very simple things and constantly feeling severe nausea.” Pronger was shut down for the rest of the 2011-12 regular season and playoffs due to the injury–he’s one of the best defenceman in the history of the NHL will be unable to help his Eastern Conference-leading Flyers to the playoffs. But it gets worse. According to reports, not only is Pronger’s season over, but his career could potentially be as well. So many of the game’s best players are falling victim to professional sports’ biggest hot-button issue. Names like Sidney Crosby, Claude Giroux, Milan Michalek, Kris Letang, Marc Savard, Jeff Skinner, Andy McDonald and Marc Staal are all sidelined due to various forms of concussions. These are just some of the bigger names in the NHL, but the list is significantly longer. The worst part in all of this is that concussions have drawn lots of attention from the NHL, which has worked hard at preventing them. Unfortunately, they’re still occurring at an alarming rate. Whether it’s players not wearing mouthguards properly (or the ineffectiveness of them), or the helmets not being strapped on tight enough (or the ineffectiveness of them), this pandemic sweeping the league needs to be addressed head-on at full speed. “The strongest message they could share is, they’re not going to allow it to happen on their watch, therefore it’s not going to happen at the ground floor, because the trickle down would be tremendous. I think it’s a baby steps process. The biggest thing I felt when we came out of the lockout and the rules changes at the time, they were drastic in measure as well. And so I don’t want to see them drastically make changes again to go back to swing the pendulum the other way. They made an adjustment. See how it works. If they can push the envelope and continue to protect the players, that’s a great thing.” former NHL F Keith Primeau. Now, the NHL has addressed concussions in the past. They were the first professional sports league to introduce baseline testing and return-to-play protocol, and have groups consisting of medical and hockey experts to help with the issue. 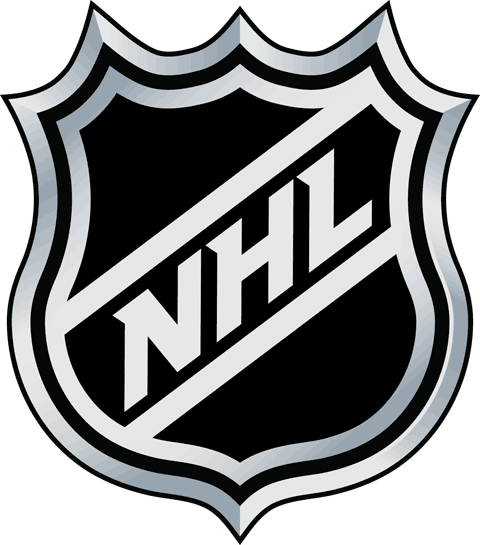 The NHL also implemented a ban on blindside hits to the head (Rule 48, March 2010). At the GM’s meetings in March, the NHL also tabled proposals for more ways to slow down concussions–everything from outlawing all hits to the head, to removing the trapezoid to allow goalies to play the puck again, to re-introducing two-line passes to slow down the neutral zone. Recently, the league has implemented new changes to make the game safer, such as stricter officiating on boarding calls; outlawing all targeted headshots; curved stantions between the benches (thanks to Max Pacioretty/Zdeno Chara incident); and adding more to the return-to-play protocol. We even have new NHL disciplinarian Brendan Shanahan explaining via video (Shana-bans!) of what is a suspendable offence and why, then meeting with teams and players to discuss what is considered legal and what isn’t. But with the NHL shooting down research indicating that concussions can lead to degenerative brain disease (see: Derek Boogaard), we’ve reached somewhat of a catch 22. After conducting a recent study, their research indicated that concussions are actually down from recent years. How can that be so? Even the NBA, which looks like a non-contact art exhibit compared to the NHL, has implemented a new concussion protocol for the safety of their players. Still, we continue to have the concussion debate. What’s wrong? The correct answer is the one that provides no new information–we don’t know. What we do know, however, is that players are growing bigger, stronger and faster, and with that will come an increase in competition. Standards across the league will rise, forcing players to continue pushing the envelope in order to keep their jobs. Everything from diets, to nutrition, to health is all changing. The most important organ in the human body–the brain–remains the end-all, be-all of our existence. The human body is already a very fragile thing, and although humans possess the ability to mend injuries over time, sometimes damage to one’s brain–or any other body part for that matter–is irreparable, especially in a game as fast, strong and hard as hockey. The NHL is on the right track, though. As we continue to learn more and more about concussions, players are wisely being held back from playing for longer periods of time, moreso than what was happening not long ago. Such a regimen did not exist, when players would skate over to the bench, make sure one of their eyes isn’t dislodged, then throw caution to the wind and jump back into the play. As with each concussion, each one must be diagnosed unique to the individual. Concussions come in varying degrees, and they cannot be measured or treated on a grand scale. In fact, a number of current NHLers sidelined by concussions didn’t suffer their injury from a headshot. Pronger, for instance, has yet to find out exactly how he suffered the concussion. Crosby’s first concussion came as a headshot, but his December relapse came after a minor, insignificant bump along the boards. Michalek collided with a teammate in the offensive zone, Giroux was concussed after he fell and took a knee to the back of the head from a teammate trying to jump over him. Explore the history of running and learn how it developed during the times of the early ancestor of humans. Trace the origin of running to its position today.